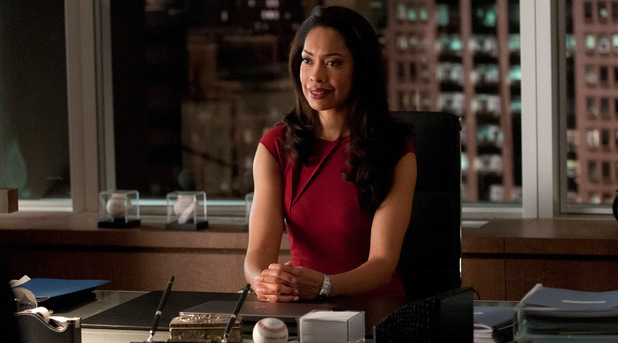 NEW YORK, NY– August 16, 2017 – USA Network and Universal Cable Productions (UCP) today announced that the Season 7 finale of SUITS, airing in the first quarter of 2018, will serve as a potential spinoff that would center around powerhouse lawyer Jessica Pearson (Gina Torres). The pilot will be executive produced and written by SUITS creator and executive producer Aaron Korsh and executive producer Daniel Arkin, and will bedirected by SUITS alum Anton Cropper (“House of Lies,” “Blackish”). Doug Liman, David Bartis and Gene Klein of Hypnotic (SUITS) will also serve as executive producers. Last season, Pearson left the firm in the hands of her two most trusted lawyers and fellow named partners, Harvey Specter and Louis Litt. She made a triumphant surprise return in the Season 6 finale to help Mike Ross become officially recognized as a lawyer. This season, Pearson returned to help guide Harvey as he navigates his new role as managing partner. The first half of SUITS Season 7 currently airs Wednesdays at 9/8c. The Season 7 finale will air in the first quarter of 2018.